Welcome to Wholesale Beauty Supplies, were we offer a wide selection of your Professional Beauty Products BELOW suggested Retail price. We carry all your major lines: ex. Creative Nail Design, EZ Flow, IBD, Clean + Easy, GIGI, Matrix, Tammy Taylor, and many many more. 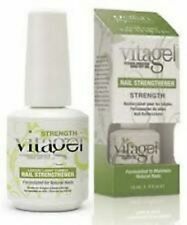 Famous Names IBX Strengthen & Repair Nail System Duo Pack BRAND NEW !! CND VINYLUX Weekly Polish Lacquer GILDED DREAMS Holiday 2014 PICK ANY !! Creative CND SHELLAC STRAWBERRY SMOOTHIE UV Gel .25oz Soak Off Gel Polish !! CND Creative SHELLAC UV Gel Polish CHARMED HOLIDAY .25 oz PICK ANY COLOR ! Creative CND SHELLAC BICYCLE YELLOW UV Gel .25oz Soak Off Gel Polish !!! Creative CND SHELLAC ELECTRIC ORANGE UV Gel .25oz Soak Off Gel Polish !!! Creative CND SHELLAC SULTRY SUNSET UV Gel .25oz Soak Off Gel Polish !!! 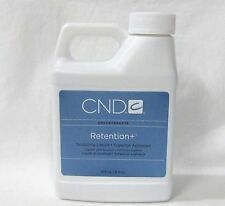 Creative CND SHELLAC TOP COAT UV Gel .25oz NO BOX !!! CND SHELLAC MODERN FOLKLORE Color FALL Collection UV Gel Polish .25 oz NEW !! !